Antoine Marie Jean-Baptiste Roger, comte de Saint-Exupéry was born on 29 June 1900 in Lyon, France. He first flew in a plane when he was twelve years old, an experience which ignited a life-long love of aviation and adventure. After serving in the French air force, Saint-Exupéry joined a pioneering aviation company and helped to establish the first airmail routes over north Africa and South America, surviving numerous accidents and gaining the Légion d’honneur for his service. His experiences inspired several books, including Night Flight (1931), and Wind, Sand and Stars (1939), which were awarded France’s highest literary awards. 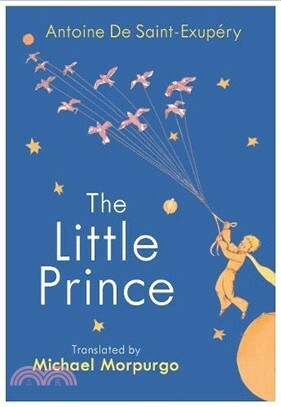 He wrote The Little Prince during a sojourn in the US, where it was first published in 1943, before he returned to France to fly military reconnaissance missions. On 31 July 1944, Saint-Exupéry took off from an air base in Corsica, but never returned. His disappearance remained the subject of speculation until 1998, when his identity bracelet was recovered from the sea off the coast of Marseille. Michael Morpurgo OBE is one of Britain’s best loved children’s authors. He was born in 1943 in St Albans and published his first book in 1975. Since then he has written over one hundred books, which have been translated into over twenty languages, and adapted for film and the stage, including the National Theatre’s hit production of War Horse. His books have won the Whitbread Award, the Smarties Book Prize, the Children’s Book Award and the Blue Peter Book Award as well as many others. Michael was Children’s Laureate from 2003-2005, and was awarded an OBE in 2006.